If you aren't new here you will more than likely be aware that I have a lot of palettes... like a lot. So narrowing it down to five was tricky, it turns out my favourites are all warm toned but that doesn't surprise me at all. 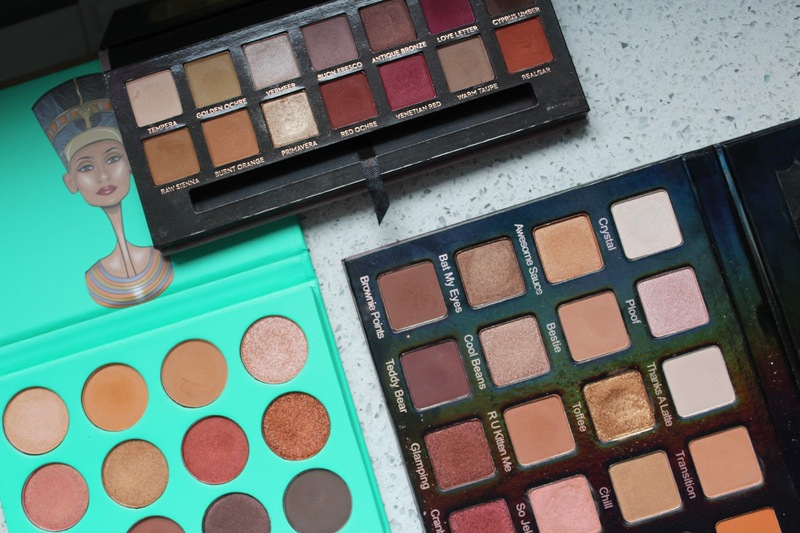 So lets get into the palettes and why I love them. First we have Modern renaissance, I feel like everyone loves this palette and never stops talking about it but I just couldn't leave it out of my top five as I use it so much. I have to say this is probably my most used palette in my collection. If I don't know what to do with my eyes I reach for this and the look always turns out beautiful. One thing I do wish is that it had a few more shimmers however I feel like my prayers have been answered after seeing the press images for Soft glam. The formula of these is amazing and I have to say this is probably my favourite palette of all time. 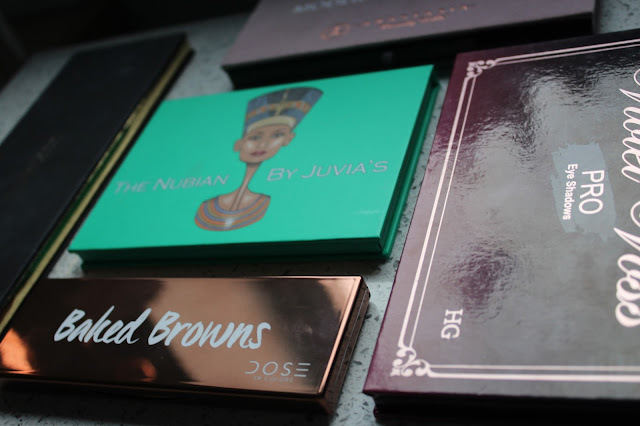 Coloured Raine is like Modern renaissance on steroids. Its a lot brighter meaning it does tend to get neglected on an everyday basis however this one gets used to death when it comes to any sort of special event. The metallic shades are incredible, so foiled and are just so intense even without wetting my brush. The only shade in the palette which doesn't swatch great is Ladyship which is the deep purple however it works beautifully on the lids. The Juvias place Nubain palette is brilliant for people who don't want any pinky shades in their warm palette. This is pretty much exclusively warm browns although there is a couple of shades which are more on the orangey side. This again is another fabulous everyday palette. The only issue I have with this one is the fact that there isn't a highlight shade for my skin tone however I know it is a Black owned brand therefore I really don't mind having to reach for a single highlighting shade. Dose of colours Baked browns is my favourite travel palette it has five beautiful matte shades and is so nice and compact. This one is ideal if you aren't a makeup junkie and just want a more refined palette. I also love the fact this is in a hard case plastic as the rest in today's post as the rest are in reinforced cardboard which really bugs me! Anyway back to the palette it self. The shadows are beautiful and creamy and blend like an absolute dream. I feel like this is the perfect beginners palette. The final palette in today's line up is the Violet Voss Holy grail palette. This is a more versatile palette than all the others as it has twenty shades. This has some incredible transition shades and is one I tend to pull out if the palette I'm using doesn't have what I want. This also has some stunning metallic shades which are perfect for Halo eyes. These shadows as with all the shadows in this post are beautiful and blendable. 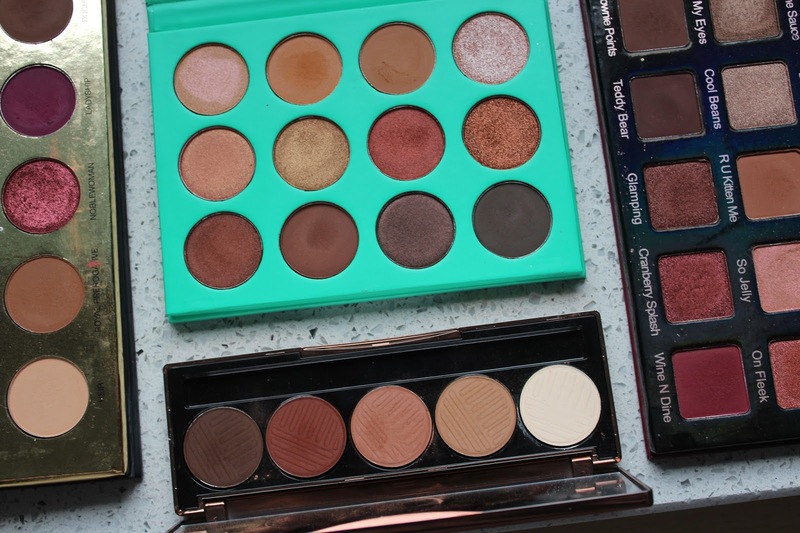 That's it for today, I would love to know what your top five shadow palettes are! 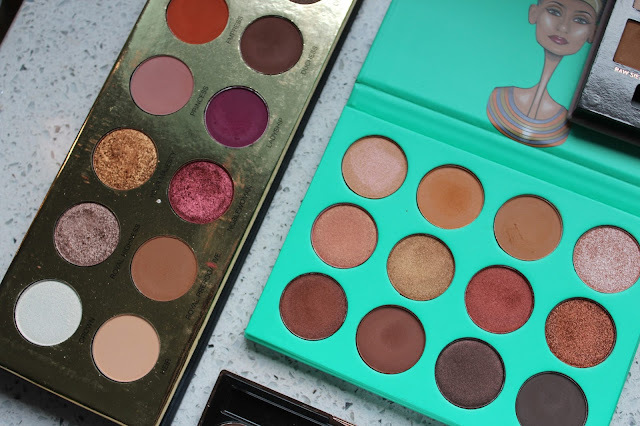 That juvias place palette looks soooo good!! I can’t take my eyes off of that cranberry metallic shade, it’s stunning! 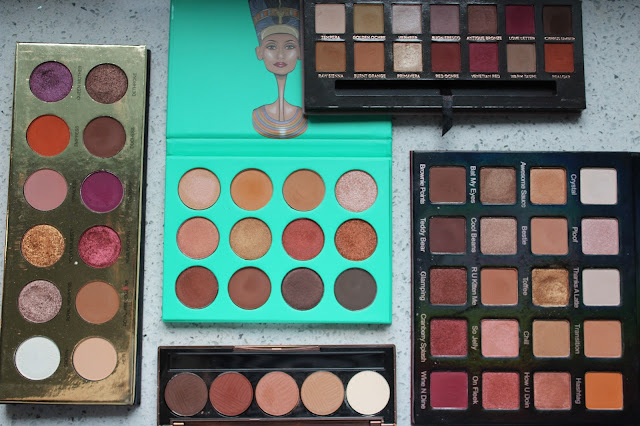 Like you, I too am a palette addict! Currently looking st the Violet Voss #palette eek! I love my Juvia's Place palette. I really want to try the Dose of Colours one. I think I really need to try a Violet Voss palette!